PRESS RELEASE – The critical role of helicopters in the Vietnam War is the subject of the first in a series of Living History programs presented by the Commemorative Air Force Dixie Wing from 11 a.m. to 1 p.m. March 26 at Wing headquarters in Peachtree City, Ga. Lt. Col. Cliff Stern, executive director of the Army Aviation Heritage Foundation (AAHF), will discuss the helicopter war in Vietnam, the first time the helicopter’s full potential was utilized. Col. Stern is a senior Army aviator with a bachelor’s degree in business administration from the University of Albuquerque and a master’s degree in systems management from the University of Southern California. His military honors include two awards of the Legion of Merit, the Distinguished Flying Cross, Bronze Star, Air Medal with 23 oak-leaf clusters and numerous other commendations. His unit was awarded the Valorous Unit award for its participation in Lam Son 719. Col. Stern and AAHF pilots will discuss the aircraft impact on the war as a whole, and will focus on Lam Son 719, the largest helicopter operation of any war. 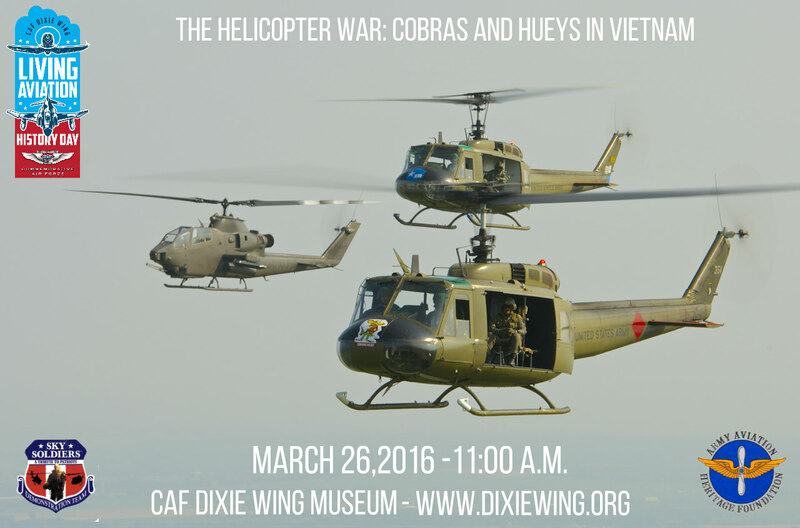 Participants will have the opportunity to walk around the AAHF’s Cobra and Huey and ask questions of the pilots. The event will be moderated by Col. Brent Bracewell, also a former Army helicopter pilot. Many different helicopter models fulfilled observation, transport, and attack duties. 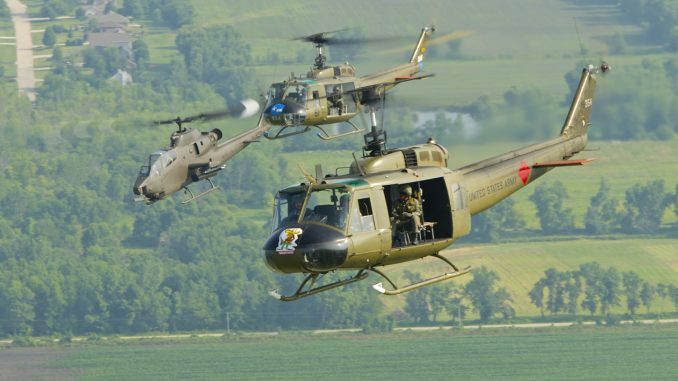 This presentation will highlight two of the most important choppers of the conflict, the Bell UH-1 Iroquois, better known as Huey, and the Bell AH-1 Cobra. Rides in these helicopters will be available following the presentation. A ride in the Huey is $60, and a ride in the Cobra is $275, which helps cover operating costs and will benefit the non-profit AAHF organization. The fee to attend this Dixie Wing event is $10. 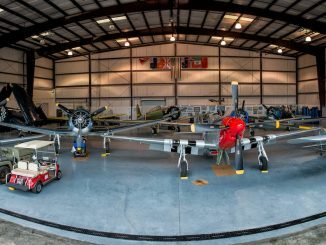 Dixie Wing headquarters and museum are at 1200 Echo Ct., Peachtree City, adjoining Atlanta Regional Airport (Falcon Field). For more information, visit www.dixiewing.org. Please take a moment to view the photos I took when I was in Vietnam. I was an Army Air Traffic Controller at Spartan Tower in Bien Hoa, 1968. These were taken during the Tet Offensive time frame. 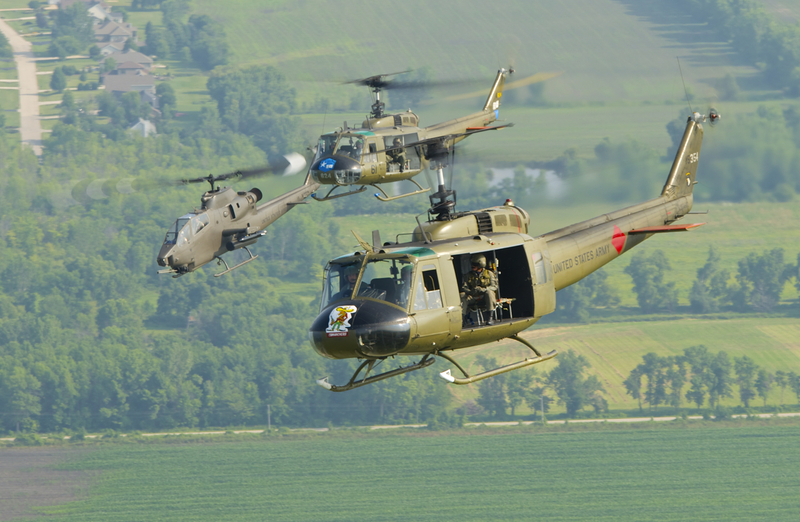 It would be great to see a flight of Huey’s and Huey Cobras at airshows. Nothing can match the sound of an approaching Huey, except the sound of half a dozen approaching Huey’s! They don’t even have to do much, just go around and around so we can all hear that beautiful noise again and again! Sure wish that I could attend the event in Peachtree City since I am a survivor of Lam Son 719. Flew UH-1C gunships with the 238th Aerial Weapons Company, part of 223rd AHB. Flew Cobras later down in II Corps, but nothing came close to Laos.